Originally from the Lower Mainland, Courtney is very passionate about art. Having participated in many courses throughout her life her goal after moving to the Okanagan was to explore and seek out local education in her chosen field. Studying at the Centre for Arts and Technology she graduated with an animation diploma and was hired right out of school to be a character animator. She mostly enjoys digital art and will be going back to school for graphic and digital design in the fall to further her knowledge in the digital arts. Currently a Visual Arts student at UBCO, Brock is also one of the founders and producers of the geek culture convention KFX, which was founded in 2014. With a style that has been influenced by a diet of comic books and Japanese manga, Brock’s work extends across a variety of mediums but follows a consistent cartoon/science fiction theme. The subject of choice is usually robots or mechanical objects. His eventual goal is to enter the field of comics, and has an interest in exploring some more unconventional art installations- exhibits that allow the viewer to interact with the work. After working as a Summer Student at LC Art Gallery in 2012 and completing her BFA at UBCO, Nicole went on to achieve a Masters in Art History (June 2016) at Queen's University. From there moving to Banff to work as an Archival Assistant and Preparator at the Whyte Museum of the Canadian Rockies while also working at the Banff Centre for Arts and Creativity as an Archival Assistant. In 2017 Nicole secured the position of employment as Archivist of The Whyte Museum of the Canadian Rockies. Heather Leier is an artist and previous Assistant Professor based in Corner Brook, Newfoundland, Canada. Currently, she has been given the opportunity to teach, research and serve as part of the Department of Art as an Assistant Professor in printmaking at the University of Calgary. ​She completed her BFA from the University of British Columbia in 2012 and received her MFA in Printmaking from the University of Alberta in Edmonton, Alberta, Canada in 2016. Her work has been exhibited in many international exhibitions including The International Biennial Print Exhibit: ROC at the National Taiwan Museum of Fine Art and 2015 Guanlan International Print Biennialin Guanlan China. Solo exhibitions of her work have been presented by Martha Street Studio (Winnipeg), The Alternator Centre for Contemporary Art (Kelowna), and the Hudgens Center for Art and Learning (Duluth). ​Moozhan is a student at the University of British Columbia Okanagan majoring in Visual Arts and taking a minor in Art History. 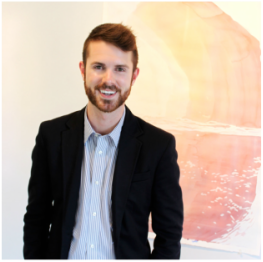 His artistic interests include painting, drawing, printmaking, and more. As a visual arts student Moozhan loves being involved with the artistic community both on and off campus. At university he participates with the Visual Arts Course Union and regularly volunteers at events. He also enjoys attending local exhibitions and occasionally exhibits his own work. He hopes to continue working on his artistic practice, eventually gain his Master's Degree, and be involved with the local arts community. ​Alexa studied Fine Arts at UBCO. With a passion for painting, drawing, digital media and photography Alexa has decided to re-direct her education and is tranferring her application to join a Design course at the Visual College of Art in Vancouver, meanwhile spending time working with her digital art painting skills . ​Jason went on to complete his degree in Bachelor of Fine Arts, major in Interdisciplinary Performance at UBCO. Now he is a freelance photographer marketer, and musician. His current band James The Iceberg is finalising their debut EP and it is to be released in March of 2016. Jason's photographs were recently displayed at the Okanagan Regional Library, Rutland branch, as part of the Art in Empty Spaces Exhibition organised by the Arts Council of the Central Okanagan [ARTSCO] and Uptown Rutland Business Association [URBA]. Lucas is an Okanagan-based artist and student. He is currently in his fourth year of UBC Okanagan’s BFA program. Central to Glenn’s life is print. Whether it’s designing posters, studying typography, printmaking, practicing collage, collaborating on artist books, or making his own art, Glenn’s fascination with the medium is ongoing. His interests lie in philosophy, theory, and industry. Home to Glenn is a series of desks that he puts his things on; when he is not in the studio layering pieces of books and scraps, he is busy inking up the pages of his notebooks. ​Kelsie went on to complete her BFA from the University of British Columbia Okanagan graduating with a Medal in Fine Arts for being at the top of her class year. While in University Kelsie served as the Vice President of the Visual Arts Course Union and received funding to bring Canadian Artist Jonathan Hobin to UBC-O to present and participate in a public lecture and panel discussion on Art and Controversy. Kelsie spent 3 years working at the Kelowna Art Gallery including as Public Programming Assistant. NOW at the Vernon Public Art Gallery as Education Coordinator and Administrative Assistant Kelsie has implemented new and exciting programs to engage with and meet the needs of her community. Kelsie is also a practicing artist and contributing editor of the Okanagan Art Review.